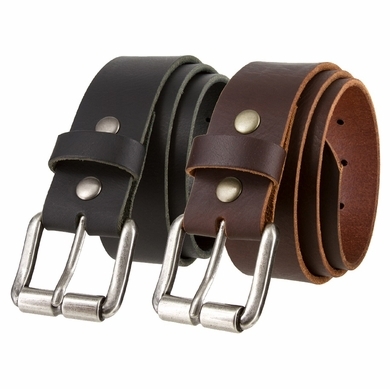 1 1/2" (38mm) Wide with a genuine full grain matte finish leather. 2 snaps for easy buckle change and a matching loop keeper. 7 holes at tip end for flexible sizing. It comes in black and brown. Belt is measured from where the leather ends at the buckle end to the middle hole at the tip end. Measure where you wear the belt in order to get the best size.